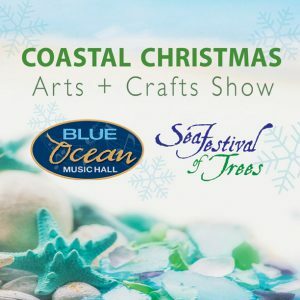 Be the first to see a sparkling holiday wonderland of trees come to life by the sea at this exclusive VIP opening event featuring beer, wine + liquor tastings from our beverage sponsors as well as food samplings from our award-winning Seaglass restaurant. Help us count down to illuminate some 150 themed holiday trees and congratulate the tree award winners. Tickets $25 on sale through our box office, 978-462-5888, starting mid-October. Physical tickets are not mailed out. Names of ticket holders will be added to a guest list for the night of the event. 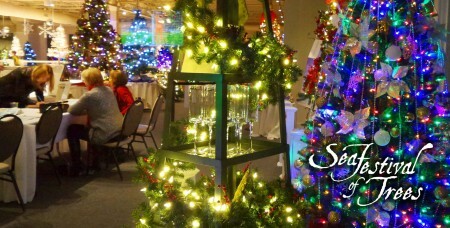 A magical holiday shopping experience by the sea, on the shores of Salisbury Beach! Find an exclusive selection of handmade coastal-inspired and beach-themed gifts for all of your holiday gift giving. 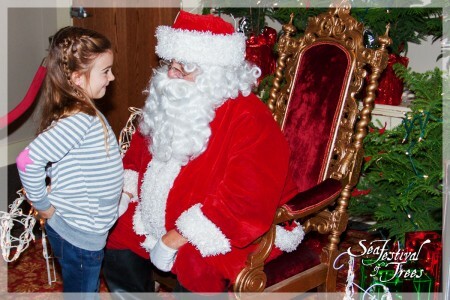 Visit with Santa and receive a candy cane. Santa’s not in? Write your wish list on our special Santa Stationery and mail your letter to the jolly old fellow in our authentic North Pole Express mailbox. 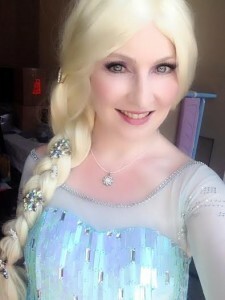 Meet the snow queen from everyone’s favorite movie, Frozen, by the Winter Wonderland Castle gates near Seaside Ice Rink. Look for her beautiful flowing blue dress. You’ll find the mean green one prancing among the trees. Be sure to capture a photo! 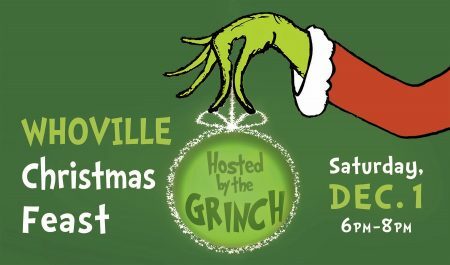 Gather your gal pals and join us for a night of merriment at the festival with host Dana Marshall, radio DJ from 92.5 the River. 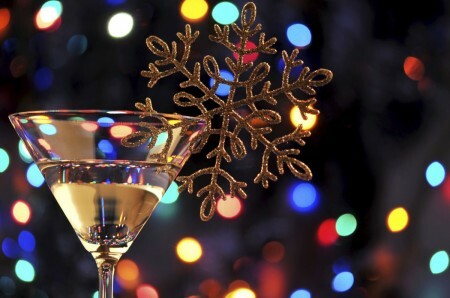 Enjoy cocktail mixology and sampling, holiday demonstrations, shopping discounts, amazing door prizes and more! Details coming soon. 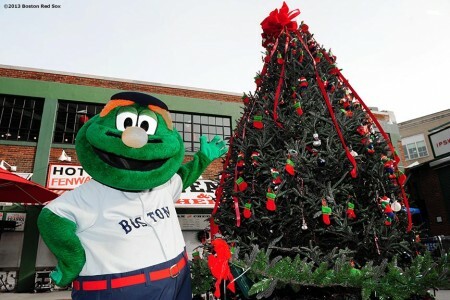 Meet Wally the Green Monster, the Red Sox mascot, will be posing for pictures and giving out free hugs! Register to win free Red Sox World Series swag. 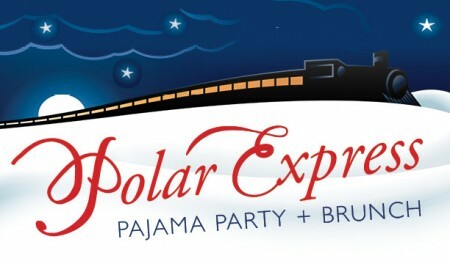 Wear your team apparel to receive $1 off admission that night. 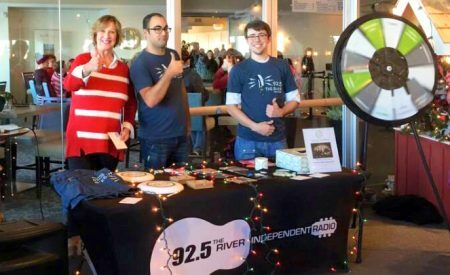 Spin The River’s prize wheel to win fun giveaways, play games and get a sweet candy treat. Check back for dates for town pride nights with discounted admission and more! 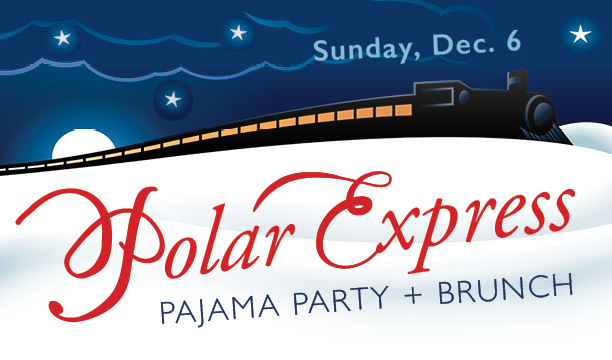 $3 off admission + free cookie for Salisbury, Newbury, and Rowley students & residents. Show proof of residency or student ID. $3 off admission + free cookie for Seabrook, Hampton, North Hampton, South Hampton, Hampton Beach, and Hampton Falls students & residents. Show proof of residency or student ID. $3 off admission + free cookie for West Newbury, Groveland, and Merrimac students & residents. Show proof of residency or student ID. 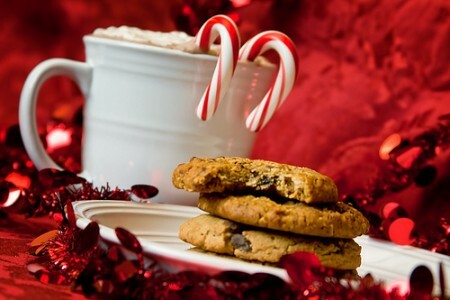 $3 off admission + free cookie for Newburyport and Amesbury students and residents. Show proof of residency or student ID. 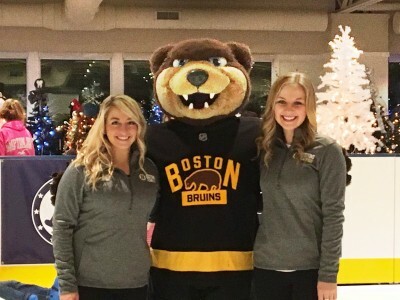 Join the beloved Boston Bruins mascot and the Blades ambassadors for skating on Seaside Ice, hosted by Shark FM Radio. The fun-loving bear mascot is available for photos with fans on a first-come, first-served basis. Register to win a family four pack of tickets to a Bruins game at TD Garden! Wear your team apparel to receive $1 off admission that night. Sound the sirens and ring the bell! 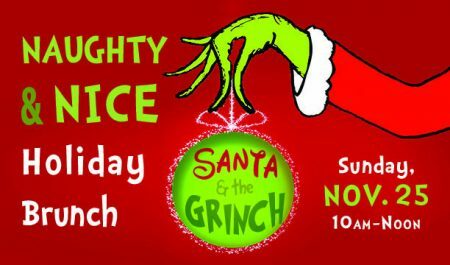 Santa will arrive at the Sea Festival of Trees by fire truck on Sunday morning November 26, courtesy of the Salisbury Fire Department. 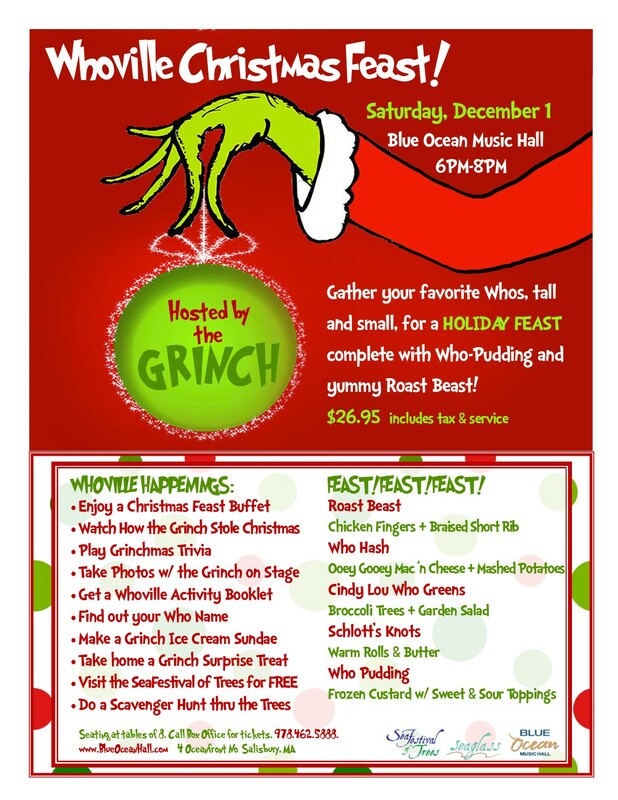 (Psst… while the Grinch hides inside!) 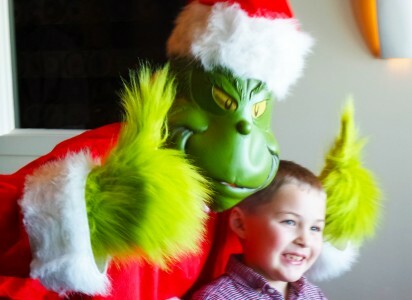 The jolly old fellow and the mean green one join the fun inside Sea Festival of Trees where children and families can have brunch with their favorite characters. Credit card required for reservation. Space is limited; seating is at tables of 8. Tickets $35/person. Call 978-462-5800 to order (starting October). NHAPA dancers will perform on stage in Blue Ocean Music Hall for the enjoyment of festival attendees. Last day for public viewing, open 11AM-5PM. After that time, we will randomly draw a winner for each tree from the raffle tickets. Winners will be called Sunday night, and will be able to pick up their trees Monday 11AM-7PM. 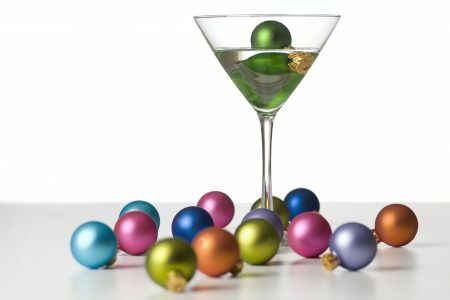 A fun ladies’ night out with holiday cocktail tastings, passed hors d’ouevres, and chef demos! Decorate a take-home, edible gingerbread house with an assortment of colorful holiday candies. $49.95pp. Call 978-462-5800 for reservations. Credit card required for reservation. Space is limited; seating is at tables of 8. Tickets $35/person. Call 978-462-5800 to order, starting October. 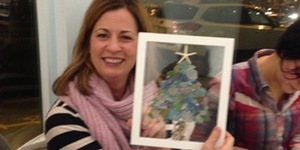 Sip and create at this sea glass workshop with Seascape Creations! Make a sea glass window out of shells, starfish, sand dollars, and more. Come early to dine before you create. Enjoy $5 off any full-priced entree at Seaglass Restaurant. $50/person includes materials and instruction.